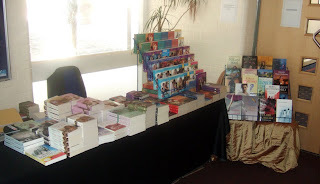 We've just spent an exhilarating (if somewhat exhausting) weekend bookselling at the Romantic Novelists Association's (RNA) annual conference in Chichester. 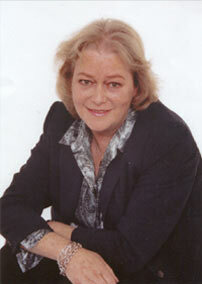 As an organisation the RNA is second to none in promoting the romance genre in all its incarnations. 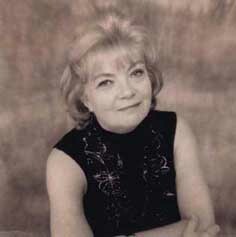 The association - and the conference - generates a tangible energy which serves both to bolster the activities of its published members, and inspire those who aspire to write romance. We first got involved with the RNA at the beginning of last year, with a series of events in the shop in the run-up to Valentine's Day. So when we were approached earlier this year to sell books at the conference, we jumped at the opportunity. Like a lot of events we get involved in (the Children's Food Festival last year springs to mind, but there are others), our initial idea of what might be involved was slightly off the mark. Thinking initially we might have to get a couple of dozen author titles in, we started receiving calls and emails from attending authors in April, and by the time we received the final list in May it became clear that out of the 120 (ish) delegates, approximately half were published authors. In estimating the number of books we would need, we discovered that many of the authors were published by specialist publishers (some of whom are not distributed in the UK). 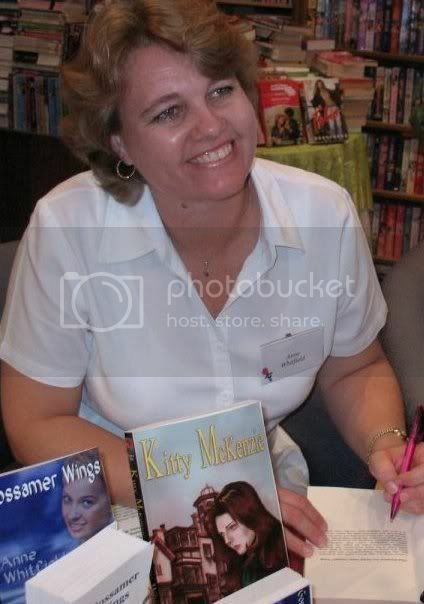 Authors were coming from Australia and the US. We consequently threw ourselves into getting hold of everyone's books, and although we screwed up on a couple of the US publishers (apologies to those authors who had to bring their own copies), we did manage to get at least two titles for most of the authors attending (including all the Mills and Boon titles - thanks to the splendid efforts of Emma Skilton at Harlequin, Mills & Boon even though we only gave her a very short amount of time to track down titles for the author list we'd sent). 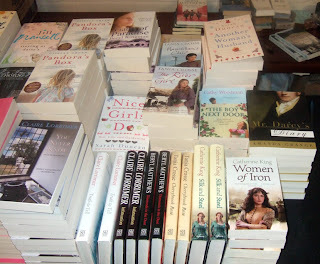 Friday morning two cars loaded with romantic fiction (and a few how-to books) made the trip down to Chichester. We set up on the Friday afternoon. What I hadn't appreciated was that we would do this in full view of everyone arriving and registering for the conference: cue a few anxious authors asking where their books were, or organising the display for us as we unloaded the boxes. Or indeed the hardened book buyers demanding books from the get-go (note regency-style resplendent waistcoat - or perhaps not). The rest of the weekend proceeded at a cracking pace. 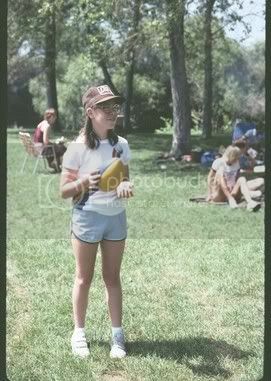 I was giving a "Shelf Secrets" seminar on the Saturday morning as well. Thanks to everyone who came and supported the bookstall over the weekend, it did seem to create quite a buzz, and we appreciated the comments on the range of books. The combination of plenty of energizing talks and sessions, and awards for new writers, really made the conference come alive - and the RNA committee (led by the redoubtable Catherine Jones) are a large part of this success. They are all novelists, and they campaign tirelessly and passionately for their genre (not to mention taking part occasionally in a few crazy stunts such as getting to the final of University Challenge The Professionals). A special mention must go to Jan Jones who organised the conference, and helped move the entire stall away at the end of each day - and helped put it out again each morning. There were others who helped in this regard - which was a big help. I'm hoping for a few more RNA conference report from other authors, but for a flavour of the conference Susie Vereker was quick off the mark, and there's more from Kate Walker, Kate Johnson, Nell Dixon (our first sold-out title), Debs (who posted copious notes from the sessions), and Jane-Wenham Jones (who gives a hint at some of the fierce drinking that goes on in the evenings)...that should give you a good start! Imogen Howson won the Elizabeth Gouge award. Thank you for all your help. It was great talking with you and having so many scrumptious books for sale. Very glad the LBD titles did so well, too! Good morning- I have just posted my notes from your RNA conf presentation on 'Shelf Secrets' - it was terrific and extremely useful. Thank you for providing much food for thought - and books by our fellow novelists. I am sure that any author would find your one day course a huge benefit. I apologise in advance that I shamelessly used one of your pics in my blog, and could not possibly do your talk justice. I was far too busy laterally thinking! The book shop and talk were brilliant, as was the waistcoat (well, as a Regency author I could hardly fail to notice). 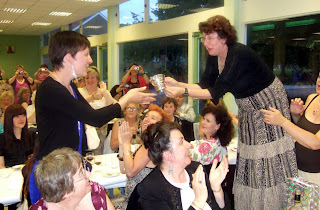 Oh, that's the first picture I've seen of me winning the award--thank you for posting it! But I actually came over here to congratulate you on the bookstall. You did a fabulous job, and were consistently helpful and charming. Well done Mark! Your bookstall was brilliant and it was great to meet you. 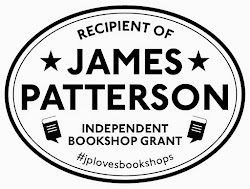 I hope other independent bookshops will follow your lead. Innovative 21st century indies is what we authors really need! Great stuff, Mark. 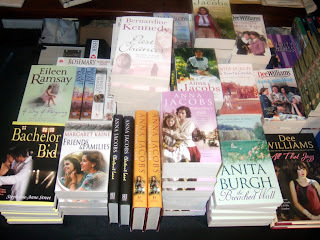 Talk and bookshop both excellent - and thank you for stocking my titles even though I was the token non-romance author! I'm so sorry I missed your talk, Mark, reports of it were great. Thanks for being so accommodating with my hard-to-get titles! Great photos Mark. I wasn't at the conference, due to living in Australia, but I do enjoy reading everyone's blogs about it. I hope to attend one in the future and hope to see you there. It looks like you had a fine display of great books that would have tempted me. I'm off to read your 'shelf secrets'. Great post, Mark, and THANK YOU for running the stall. You were consistently helpful and charming even at extraordinarily unsocial hours. Do hope you have managed to sit down for regular meals now that you are back home again! I have had lots of bookstall-praise in amongst the conference feedback, so you should feel very proud of yourself indeed. I had a lovely time buying books from your excellent stall. Thanks for the great post and for the link to my site too. You added much to the conference Mark, not only with your stimulating presentation but also with your unfailing good humour on the bookstall. 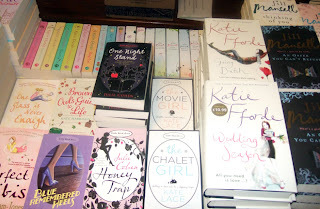 It was so good to see a bookseller genuinely interested in not only books but also in authors. Glad it was such a success for you. Thanks for a great blog, Mark. I was so disappointed not to make the conference this year. It really is a lot of fun, but only because people like you and Jan and Catherine put in so much hard work to make so. Your bookstall was fab and I found your talk very helpful. Nell - still grinning that her book sold out! 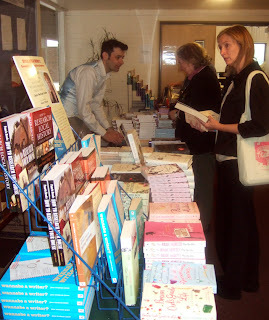 Mark - the bookstall was fabulous as were you! I am still trying to get Anna to pay me the 10% she owes me as her 'agent'. 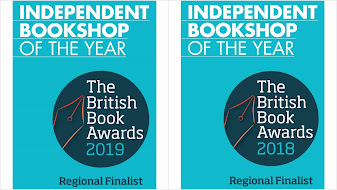 OK guys, my head is now officially too big to get in the shop - but the RNA deserve the most praise as do its members because it is the most dynamic, supportive organisation I think I've ever known - it is so supportive of its authors (both current and future) and of the genre in general. Imogen - sorry I forgot your name, I have other photos which I'll send to Jan.
One of our customers has just come in - and given me a GREAT idea for the 50th anniversary conference in two year's time - see what you think about this. She had just returned from a conference in St Petersburg, and one evening there was an authentic 18th century ball - organised by a third party, who brought the dresses, costumes, etc., dressed everyone - it sounded brilliant. Be all accounts it was an incredible (and very authentic) evening, with special dressers getting the women into corsets, etc. - the whole nine yards. Now, it would probably cost a small fortune to put on, and I'm not sure if anyone in this country does something like this, but HOW COOL WOULD THAT BE FOR THE 50TH??? That would be totally awesome, Mark! My much-belated conference post should be up in a minute, once I've finished wrestling with photos.